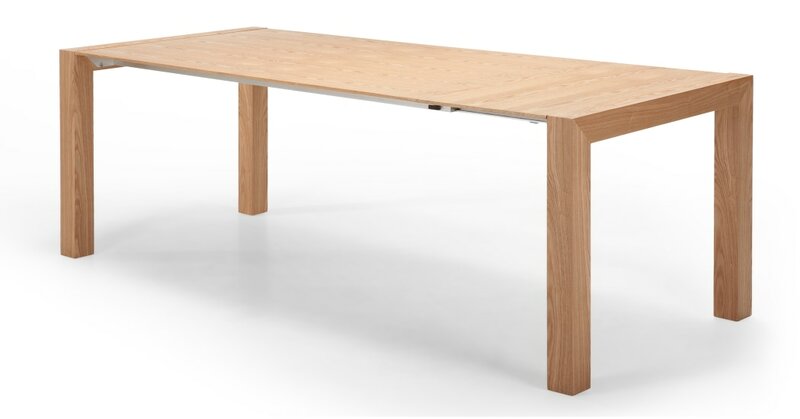 Make a bold, contemporary statement with this extending dining table. With plenty of room for up to 10 people fully extended. A minimalist design for the ultimate pared down look. Perfect for everyday use as well as throwing stylish dinner parties. Built from engineered wood with an easy-to-use aluminium mechanism. Covered in an ash veneer for extra durability.